Check back regularly to hear about new shipment arrivals and specials! 5/29/2014 NEW SHIPMENT! 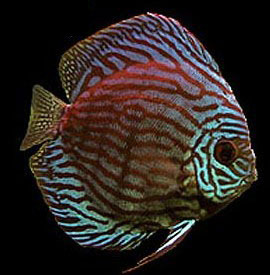 - Come see the new Saltwater fish and Corals we got this week! New shipments normally arrive every Wednesday. For the most up to date information visit our public Facebook page https://www.facebook.com/AzaleaAquariums. Click the pictures below to see a quick sample of some of the new items we got this week! 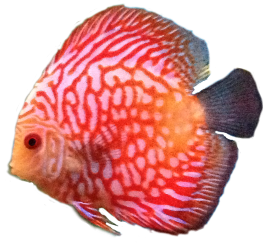 We regularly care a large selection of Saltwater Angelfish, Tangs, Clownfish, Blennys, Dragonets, Gobies, Shrimp, Starfish, Eels, Sharks, Stingrays, Lionfish, Triggerfish, Butterfly Fish, Chromis, Cardinals, Pipefish, Batfish, and Wrasses for sale. We even carry a selection of tank raised and tank bred fish from great suppliers like Sustainable Aquatics and ORA. We also carry a large selection of Corals including LPS (Large Polyp Stony), NPS (Non-Photosynthetic), Zoas (Zoanthids), Palys (Palythoas) Soft Corals (Mushrooms, Leather Toadstool Mushrooms, Anemones, etc. ), Sponges, Sea Fans, and Maxima Clams. We do NOT carry SPS (Small Polyp Stony) corals at this time. However, we may soon in the future! Additionally, we carry live rock such as Real Reef Live Rock, Tonga Rock, and Fiji Rock as well as Reef Sand and Crushed Coral Gravel to help get your tank set up or add to your decor. If you are looking for something in particular please stop by and visit us. 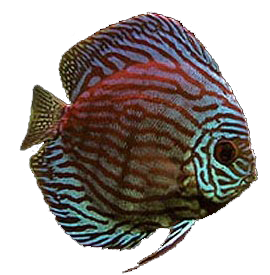 We have great relationships with our wholesalers and can normally help find that perfect fish, coral, or saltwater item need for you. These amazing fish and corals (as well as many others not pictured) are still looking for a home! We hope you or someone you know might be able to help them find a new home. Did you know this guy has been here since 2005? Click the picture below to see this incredible Yellowhead Moray Eel eat in the video below! Maybe you or someone you know might be able to help find a new home for him. Come see the RARE Flaming Prawn Goby dance for you! Click the picture below to see a quick video of him dancing for us! So adorable! You have to come see our tiny tank raised Pinatus Batfish swim around in person for you. He is looking for a great new home currently. Follow us on Facebook, Twitter, and Google Plus! Lots of Premium Zoanthids For Sale! Lots of New Real Reef Live Rock!